For Sid Sharma (Sendhil Ramamurthy), life has not quite worked out the way he planned. A thirty-something disillusioned architect struggling to save his failing marriage, Sid stumbles through his days on a self-destructive path while holding his wife’s beloved cat hostage. Meanwhile Ashok (Roshan Seth), Sid’s estranged and widowed father living in Boston, decides to make a last-minute trip to LA for an academic conference. When Ashok arrives at Sid’s doorstep unannounced, the two men begin a journey to mend their strained relationship until Sid discovers the true purpose behind his father’s visit – a woman with whom he had an affair years ago. Starring Sendhil Ramamurthy (Beauty and the Beast, Covert Affairs, Heroes, It’s a Wonderful Afterlife), BAFTA nominated actor Roshan Seth (Gandhi, Indiana Jones, Monsoon Wedding), Academy Award winner Mary Steenburgen (Back To The Future Part 3, Melvin and Howard, Gulliver’s Travels), Justin Bartha (The Hangover trilogy), and Academy Award nominated Michael Lerner (Elf, X-Men, Glee), Brahmin Bulls is an earnest look at the ever-evolving relationship between a father and son, the women in their lives, and the powerful secrets they keep. The film is co-written and directed by award-winning filmmaker Mahesh Pailoor. A graduate of New York University and the American Film Institute, Mahesh was awarded the prestigious Franklin J. Schaffner Fellow Award for the direction of his thesis film, Still Life, which went on to screen at over 20 international film festivals. 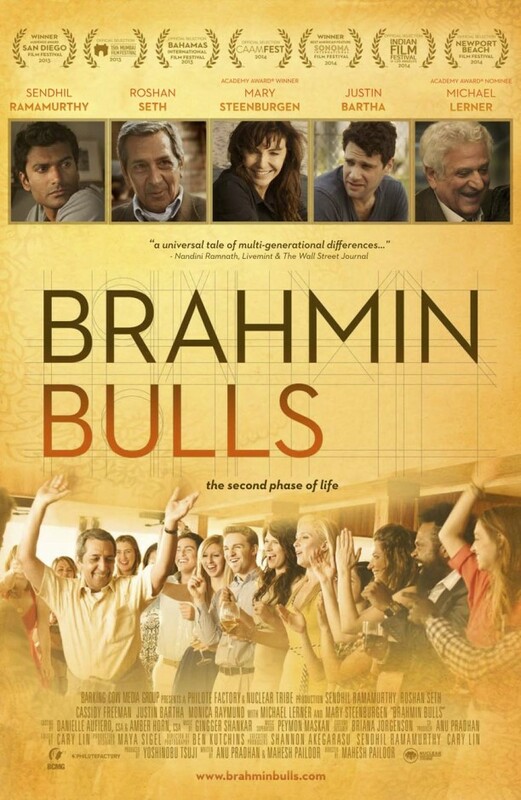 BRAHMIN BULLS is his first feature film – the story of a father and son coming together as adults on equal footing for the first time as they learn about forgiveness and acceptance and of letting go of the past, to live life fully in the present. Pailoor comments, “As children we grow up under the notion that our parents are infallible; that they are the perfect role models for us to aspire to. But as we get older and have families of our own, the realisation sets in that they are only human; that they were once just like us, young, hopeful, naïve, and completely capable of messing up. BRAHMIN BULLS is a story about that reconciliation. It is a story about a father and son learning the truth about each other for the first time as adults. It is a story about family bonds and what it takes to both break them and mend them. Brahmin Bulls is released in the UK on 11th September 2015. Check out the trailer right here! 15 queries in 0.915 seconds.